Featuring the Knight Houses of Draconis III and their household retinues, the Draconian Armored Defenders Astra Militarum regiments, and the Skitarii maniples, Cybernetica Cohorts and Titan Legions of the Adeptus Mechanicus forge world, Draconis IV. Plus secretly loyal Thousand Sons. My blog is primarily my own personal fluff in the Warhammer 40,000 universe regarding the Draconis system such as the Knight House Yato in Draconis III, the Imperial Guard...I mean, Astra Militarum regiment trained there, the Draconian Armored Defenders, and the Forge World of Draconis IV with its Adeptus Mechanicus priesthood, Cybernetica cohorts and Skitarii legions, and the Titan Legion, Legio Draconis, known as the Dark Dragons. Oh, and I'll throw in the Thousand Sons from time to time because they're my favorite Space Marine Legion. I refuse to believe that they are Traitors! They're just...ahem...secretly loyal to the Imperium! 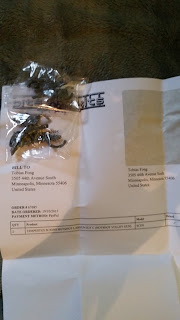 So I ordered a couple of hot-shot volley guns from Bits and Kits UK, whose site you can access here, and they arrived this morning. Unfortunately, I became one of those notorious victims of receiving wrong bits. If you've been wandering around Dakka Dakka forums or whatever, you'll see complaints from posters that they have been receiving wrong bits and stuff from Bits and Kits UK, and even when emails were sent, they either did not respond or took extremely long to reply. I just only sent an email, so I can't validate that claim, but I asked for a refund regarding one of the bits. I received one Hot-shot volley gun bit, even though I ordered two. In place of the second, they delivered me a meltagun. But I don't need a meltagun. I need a hot-shot volley gun. Oh well. What do I do now? I was also pretty unlucky today. After spending the whole night and morning studying and writing a book report (I read the book from 1.30am until 6.30am, and finished the book review for it around 11am), I went to have brunch, and feeling so exhausted I took a nap. Only to sleep for 5 hours straight and woke up at 5.15pm. I rushed to the local gaming store, but it was too late. I wasn't able to get a single game today. Despite tweaking my list and strategizing for the whole week, everything went to waste because I overslept. Damn it. On the bright side, I secured my second Leman Russ Executioner and a heavy weapons squad with 3 lascannons so that list is complete. All I need is my Leman Russ Annihilator now. Supreme Commander (Shogun) of the Draconian Armored Astra Militarum forces, Warhammer 40,000 tabletop game. Also doubling as a Sorcererer from the Thousand Sons Legion who is still secretly loyal to the Imperium, and has an acess to a Knight because...reasons. 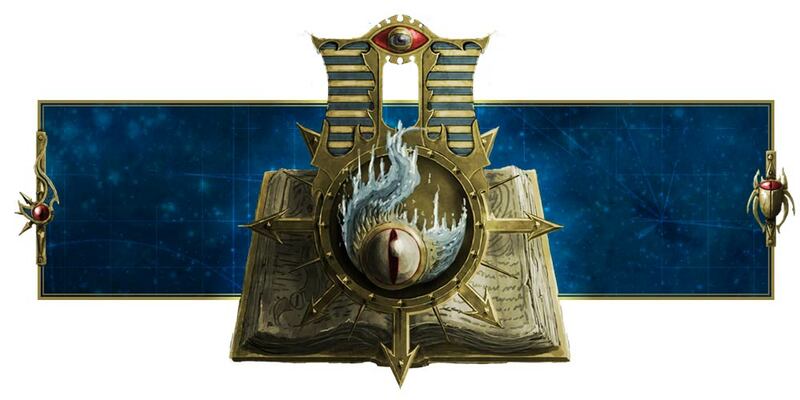 Chapter Approved for Imperial Knights! One Leman Russ tank left!